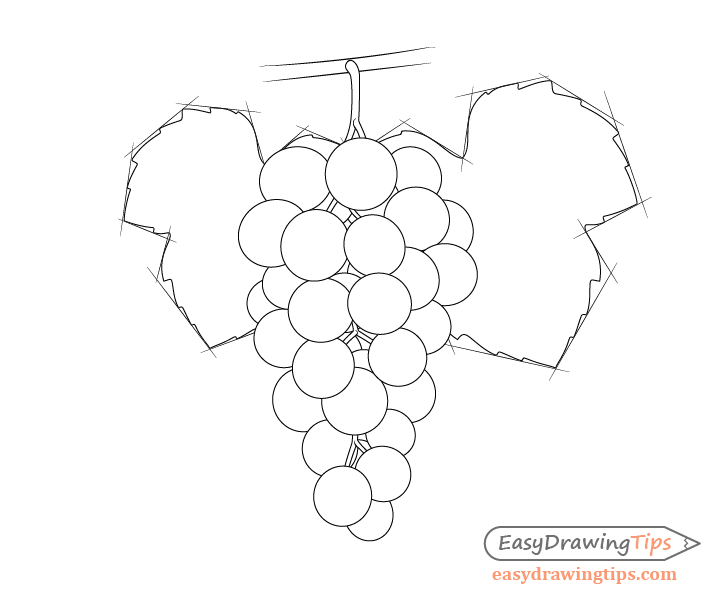 This step by step tutorial explains how to a draw a bunch of grapes with grape leaves. 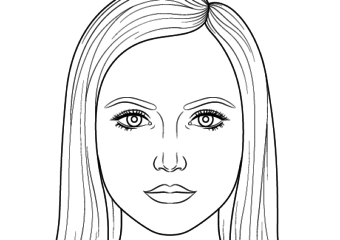 The examples are fairly simple line drawings great for beginners. 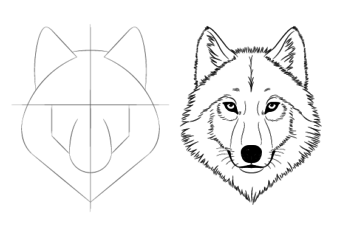 To make this tutorial easier it can be split into two parts. One is drawing the grapes and the other is drawing the leaves. 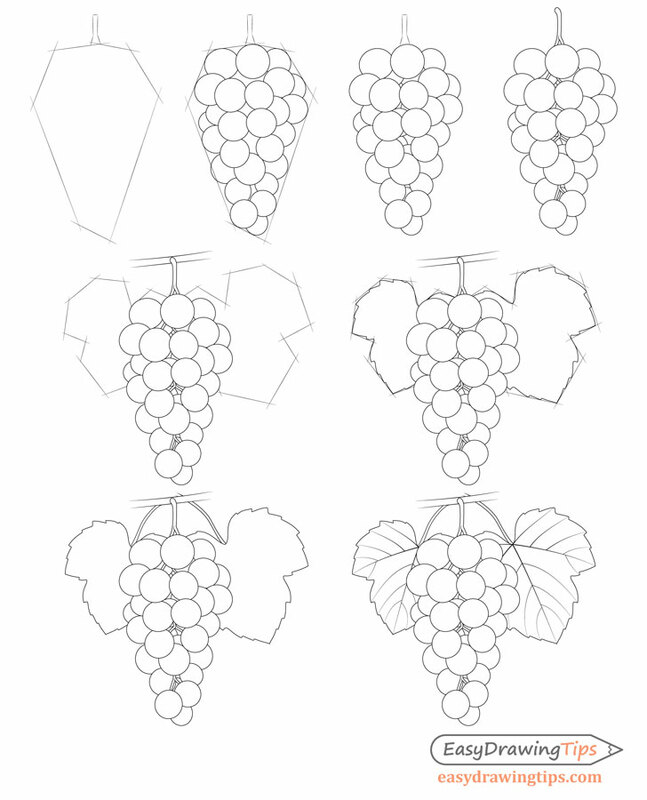 Alternatively you can draw both the leaves and the grapes at the same time by simply combining the corresponding steps for each one (Step 1 and 4, step 2 and 5, etc…). 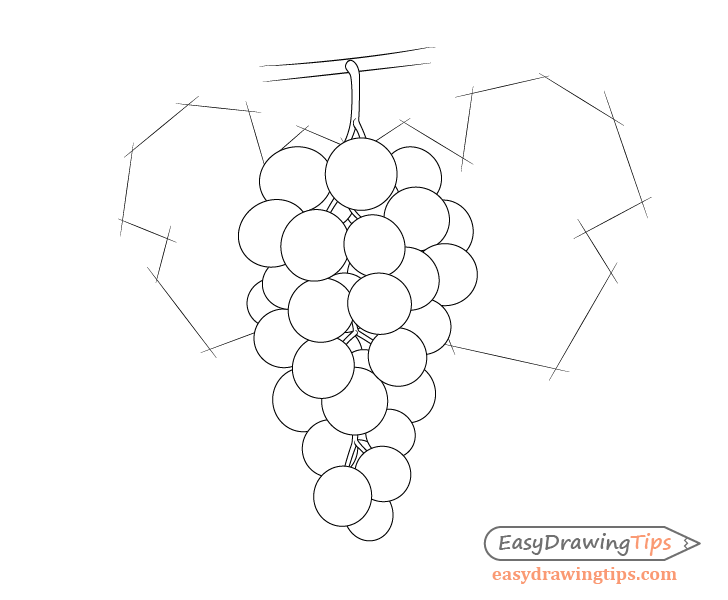 Sketch out the basic shape of the grape bunch by drawing a set of straight guide/construction lines to frame it’s overall form. 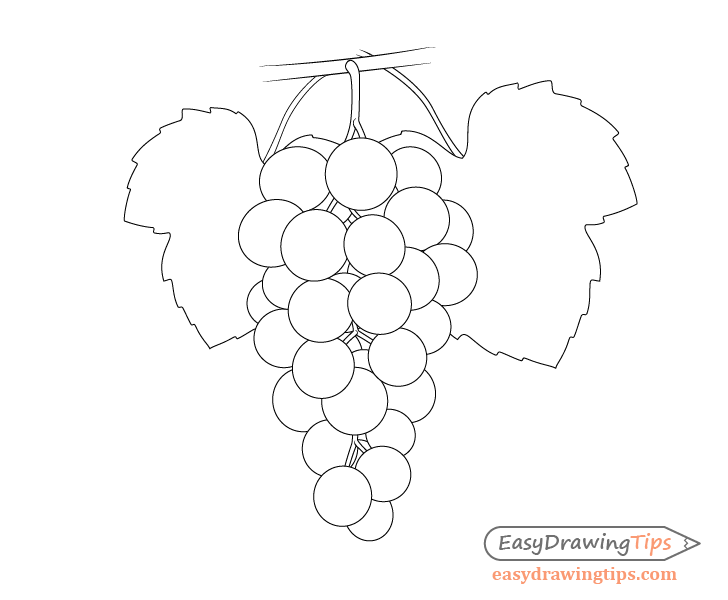 Now fill in the grape bunch “frame” by drawing the individual shape of each grape. 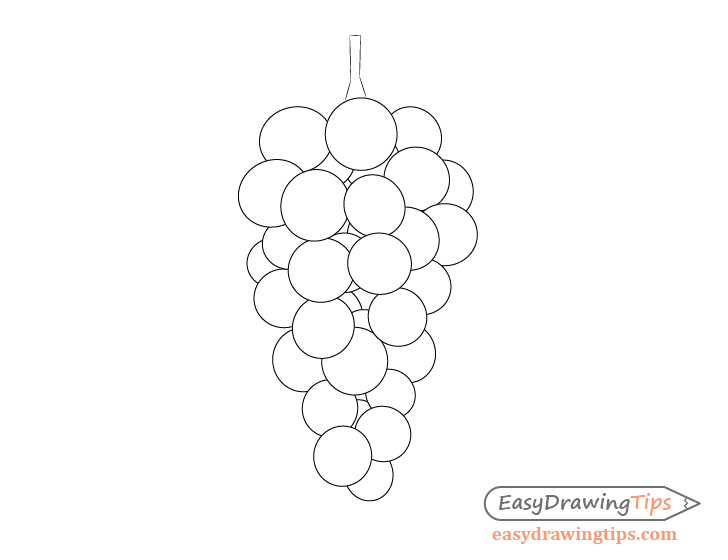 For this stage draw the grapes that are mostly visible or that help define the shape of the bunch . The grapes that are almost fully visible will be at the front and as the grape bunch curves around the grapes on the sides will become more and more hidden (overlapped by the grapes in the front). Be sure to take this into account when drawing. 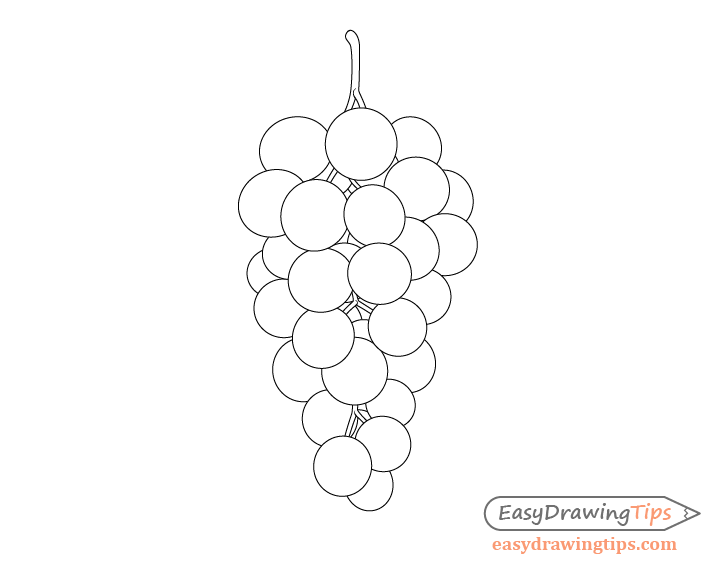 Make sure to also draw the grapes of slightly varying size and shape. In this example most of the grapes are a light oval so they are also drawn at slightly different tilts to make them look more natural. When drawing the bunch also leave a few small open spaces where the grapes are not too dense. This will be used in the next step. Now draw some hints of the background grapes in the small spaces left in between the foreground grapes in the previous step. 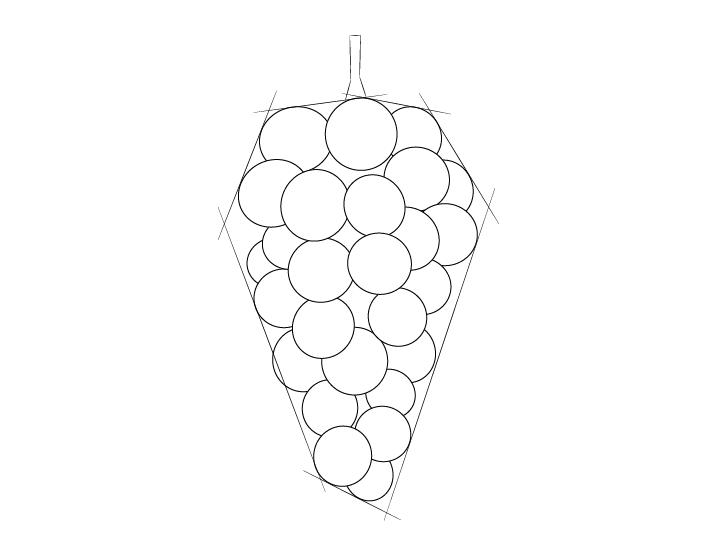 Finally draw the pedicel (the part the grapes actually hang on to). Most of the pedicel will be hidden by the grapes so you can once again draw it in the openings where the grapes are less dense. Draw the pedicel going behind the foreground grapes but over top of the background grapes. Erase any overlapping parts where you need to. After you are done you should have a finished drawing of the grape bunch. 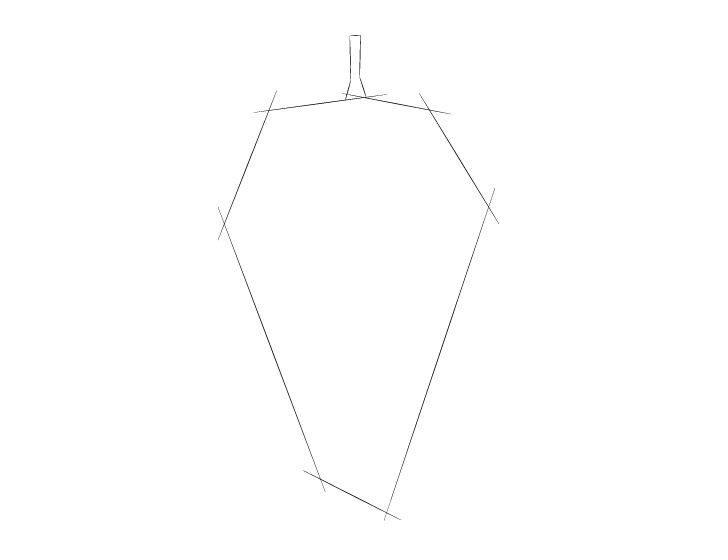 You can leave your drawing at that or if you want to go a little further you can move on to the next step. To make the grape bunch look more interesting you can add a pair of grape leaves behind it and a small section of the grape vine above. 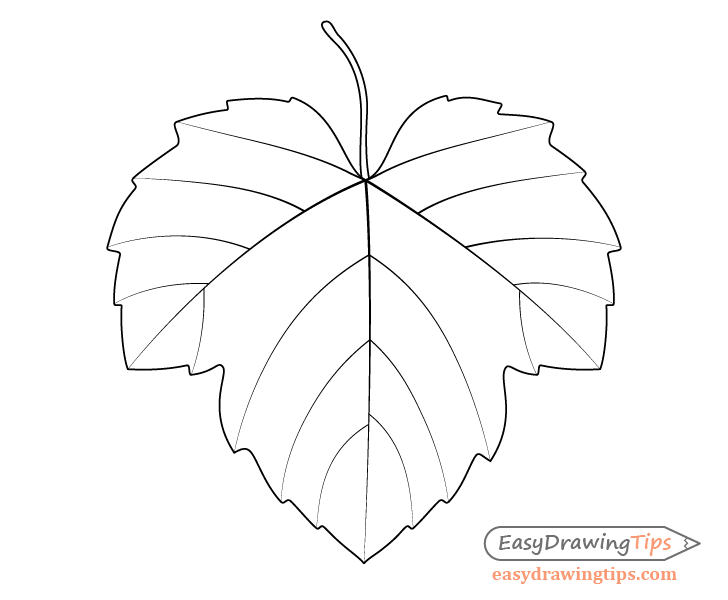 Once again use straight construction lines to sketch out the rough outer shape of the grape leaves. You can see the general shape of a grape leave in the illustration above if you need something to reference. 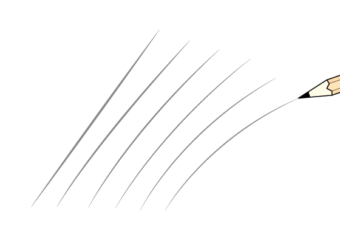 Now inside the straight line framework draw the actual organic shape of the leaves. Clean up the guide lines from the previous step and from each leaf project the petiole towards the vine. Please note that in this drawing technically only the leaf on the left grows from the vine. The leaf on the right comes from a different vine (not shown) so draw it’s petiole going slightly past the vine the left leaf comes from. Now inside the shape of the leaves draw the veins branching out in different directions. You will notice that the leaves have some pointy parts on their edges. 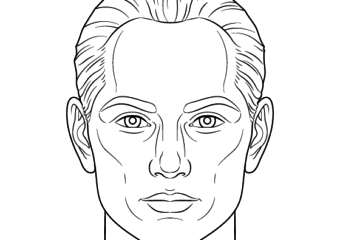 Each one of these will usually have a vein going to it’s tip so draw accordingly. 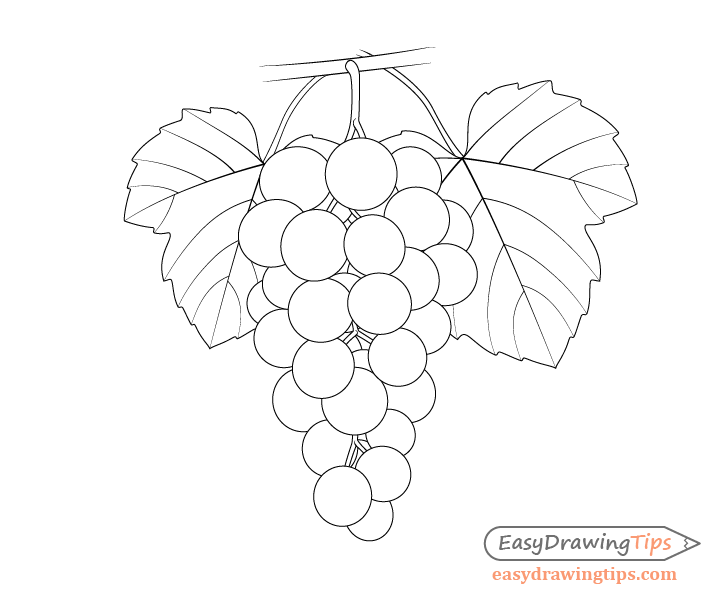 A line drawing of a grape bunch is not very complicated thing to make but adding the leaves can get a little more challenging.